The land comprising Windmuller Park was acquired from the Windmuller family in 1936 and the park was officially opened to the public in 1937. Other portions of the Windmuller property were sold in the 1940s to build one of the many “garden apartment” developments that took root in this part of Queens. 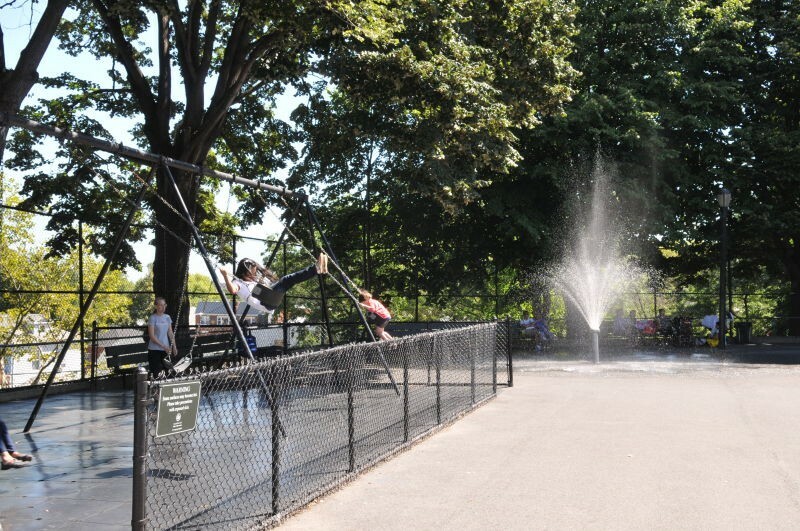 Neighboring Doughboy Park was fully improved and opened in 1957, and in 1959 the section of 54th Street that ran between the two sites was closed to traffic and converted to parkland, joining the two parcels. 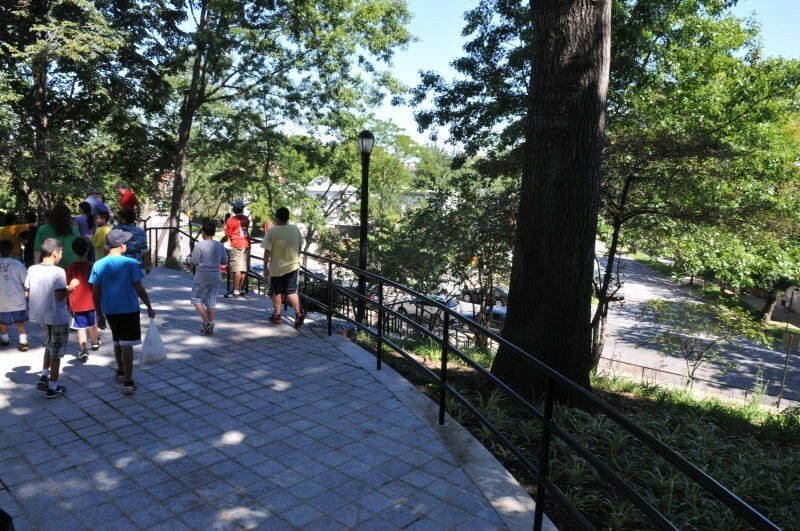 When Parks Commissioner Richard Clurman urged individual communities to unite with the city to keep their neighborhood parks clean and safe, several Woodside residents heeded the call to turn around Windmuller Park. 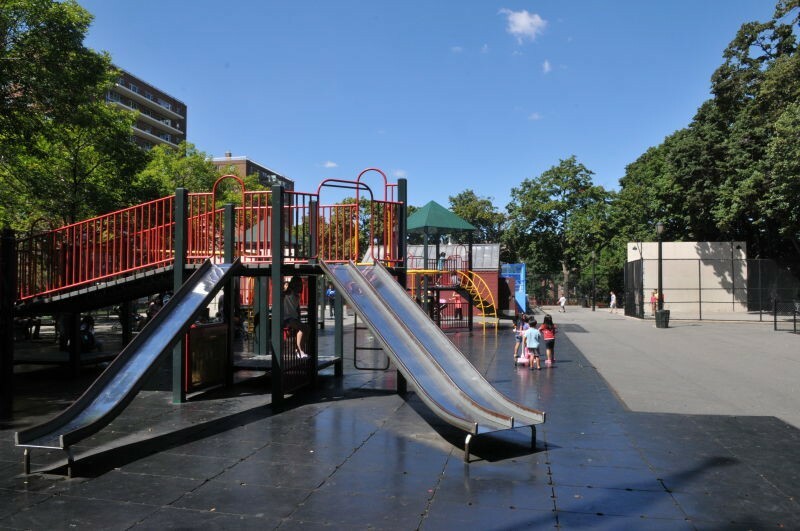 The Windmuller Park Neighborhood Association was formed in the spring of 1973 and in response to the community’s enthusiastic support, Parks returned the favor that summer by making significant repairs at the site. After the park survived no further break-ins or vandalism, Windmuller Park was hailed as a model for Parks’ fledgling partnership program. The park was so successful that it became one of the few in the city where a flag actually flew on the flagpole installed at the site — flag theft being a widespread problem at that time.